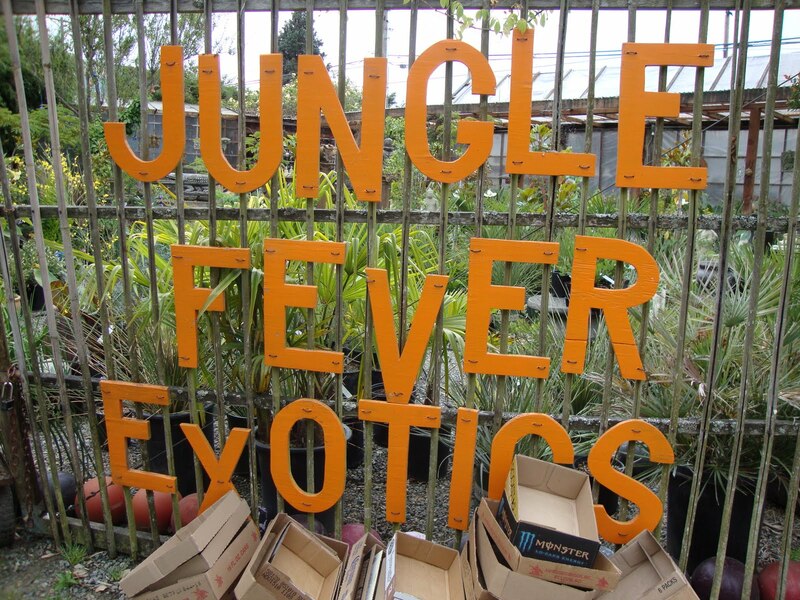 You absolutely have to stop at a nursery with a sign like this, right? 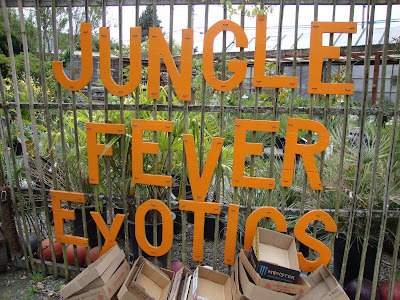 Thank god Jungle Fever Exotics was my destination, so I was watching for a sign. Had I just been driving down the street and seen it I probably would have slammed on the brakes and there would have been an accident for sure. More eye-candy! 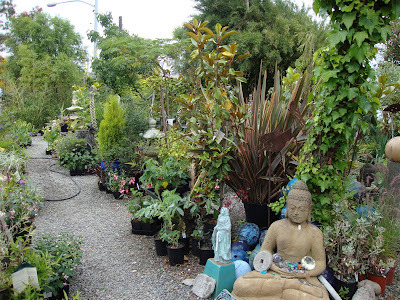 While making a u-turn to park, I see this and its official, I’ve pretty much arrived in heaven…or Tacoma, Washington. Not many people think these are synonymous (Tacoma and heaven). 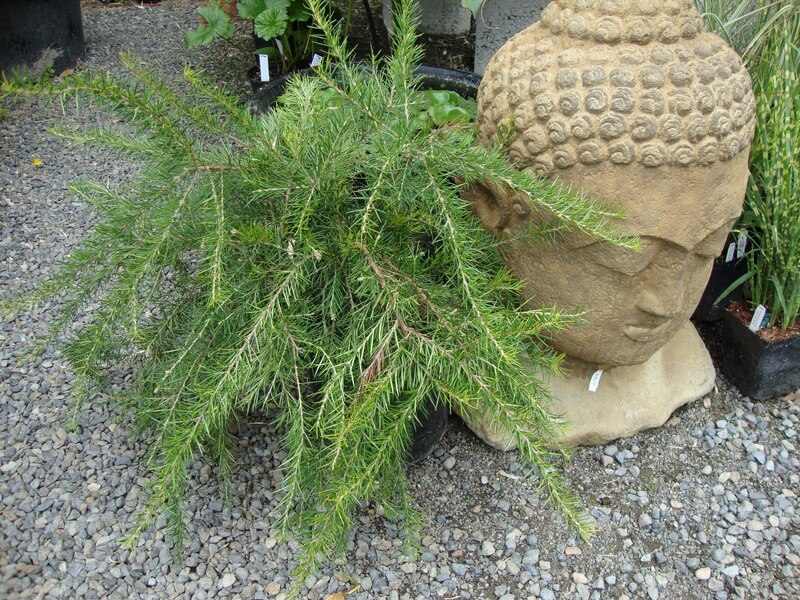 I don’t know why it’s taken me so long to visit this nursery. Maybe because when I’m making the trip up to Seattle I’m usually in “just get there” mode. I’m so glad I finally took the time to stop! The owner says he’s been here for 15 years. 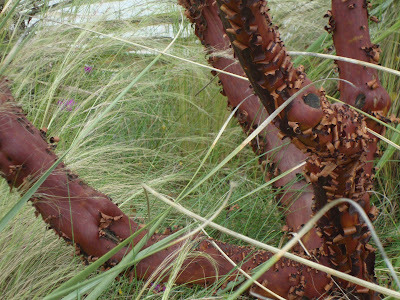 The surrounding plantings, like this beautiful Manzanita, confirm it. I am becoming such a bark junkie! Inside there were so many crazy fun statues! 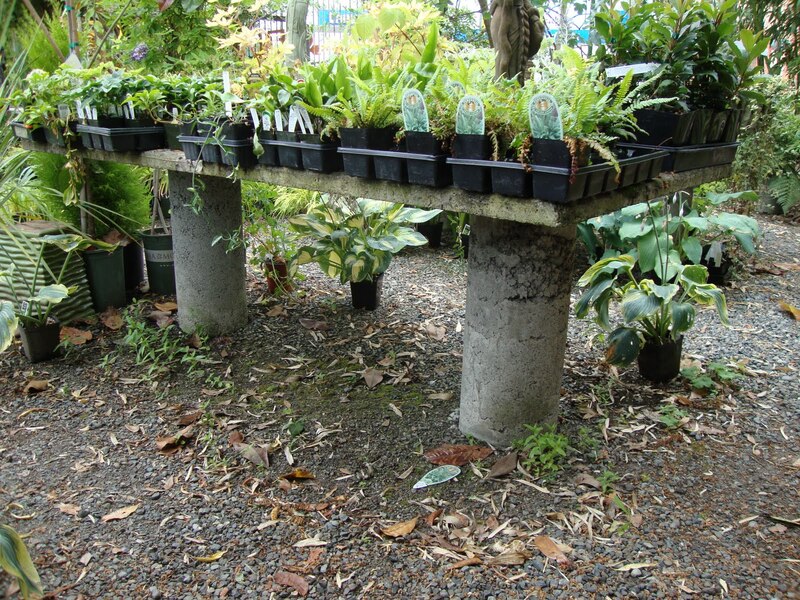 I loved the substantial quality of the cement display tables, they add to the jungle feel somehow. Like there was going to be an offering made on one of these tables after I left (hopefully). And this one (below) juniperina 'Molonglo'…beautiful! No I didn’t buy any, but I wanted to. 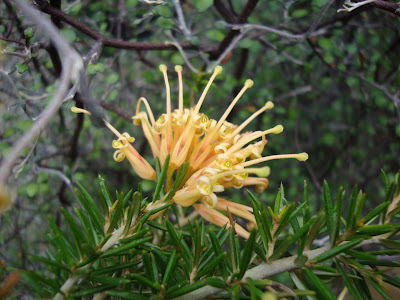 I figure I need to see how the Grevillea that I already own ('Low Red' ) does through the winter. If it survives then look out, next year I will be Grevillea crazy! Mahonia x media 'Charity,' the tag begins: “finely cut leaves arranged in enormous whorls”…I’ve been flirting with the purchase of a Mahonia for awhile now. One of these is coming home with me. And a quick glance at the tag confirmed it, but funny thing, as I was photographing the tag I realized what I was seeing. 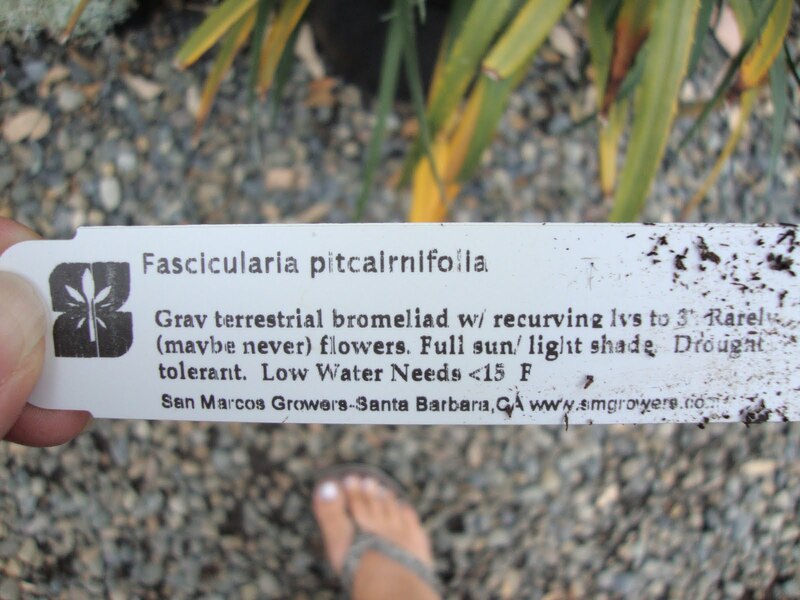 This is a San Marcos Growers tag! 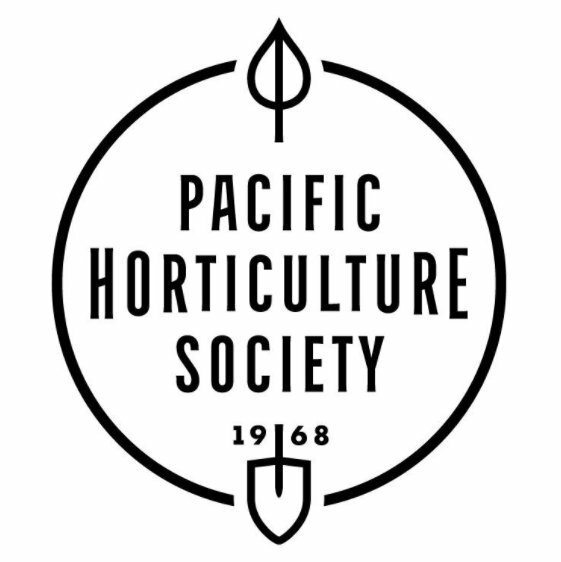 When you start getting excited about the growers you know you are a plant junkie right? 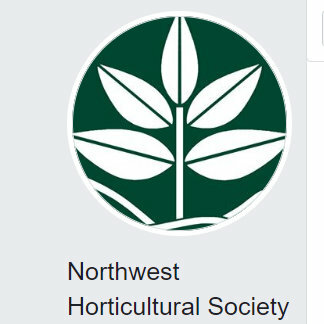 But I’ve never found a nursery in Oregon or Washington that sells their plants. I was excited! 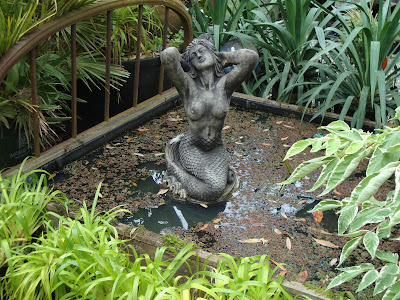 I asked the owner if he made buying trips down to Santa Barbara, but he said no. 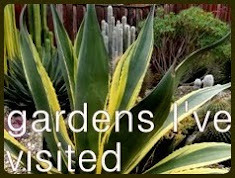 He has a broker who buys for him (note to self…investigate this career opportunity…I’m really good at buying plants…why not buy them for other people for a living?). 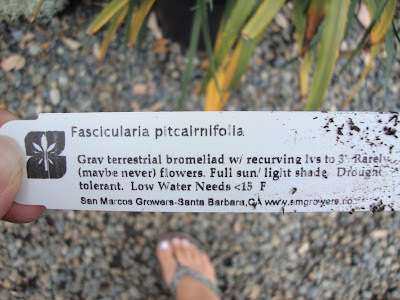 Okay back to the Fascicularia pitcairnifolia, my desire for this plant was reignited last week when I read about Megan buying one at Cistus. But I decided again to wait and see how hers does over the winter before I recommit. Where is all this rational winter weather thinking coming from? So not my normal plant buying style! But right here is where all my rational thinking ended. 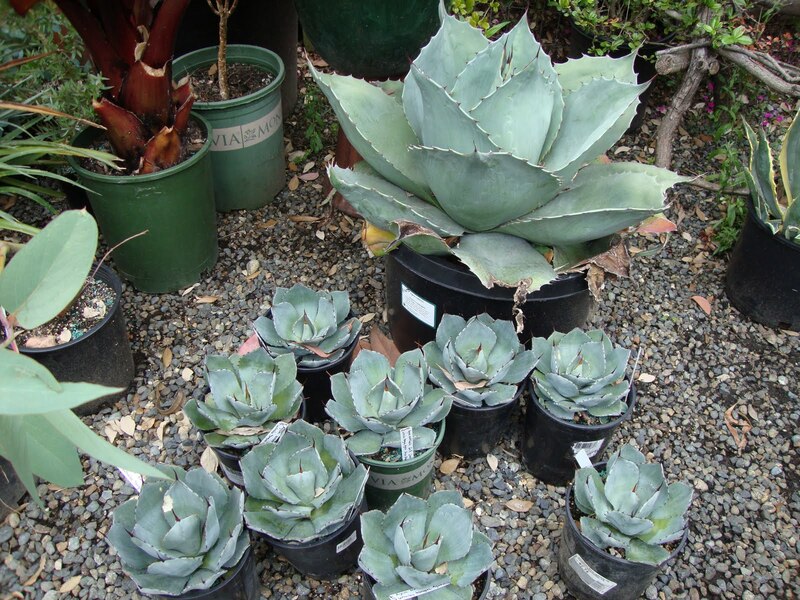 Just look at that huge Agave ovatifolia! (Whale’s Tongue Agave), and the babies are pretty cute too! And much more affordable, and transportable. 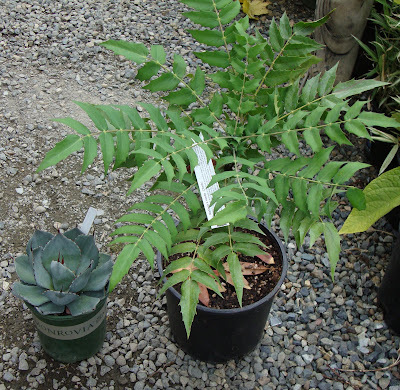 So one of the babies joined the Mahonia and my shopping adventure was complete. 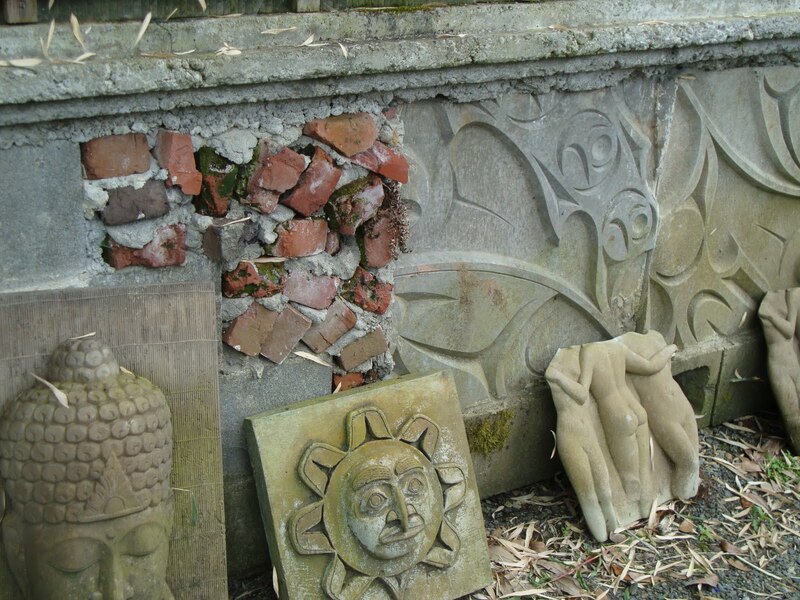 Time to go investigate the nursery owner’s personal garden next door, more pictures tomorrow! 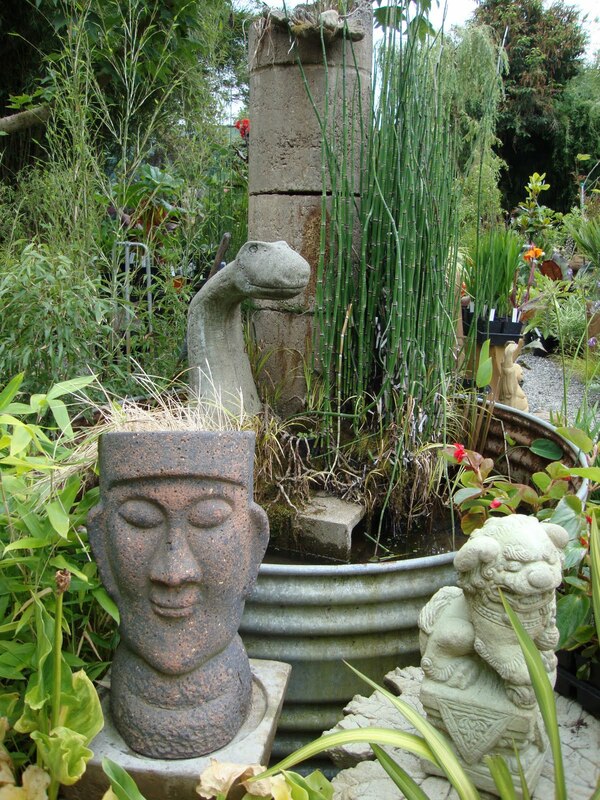 That is really a cool nursery, with plants and statuary after my heart! 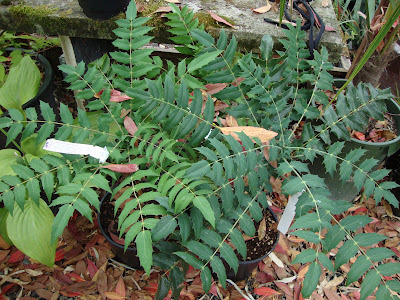 Will be quite interested in seeing how the Mahonia does. Have had my eye on that variety for a while. 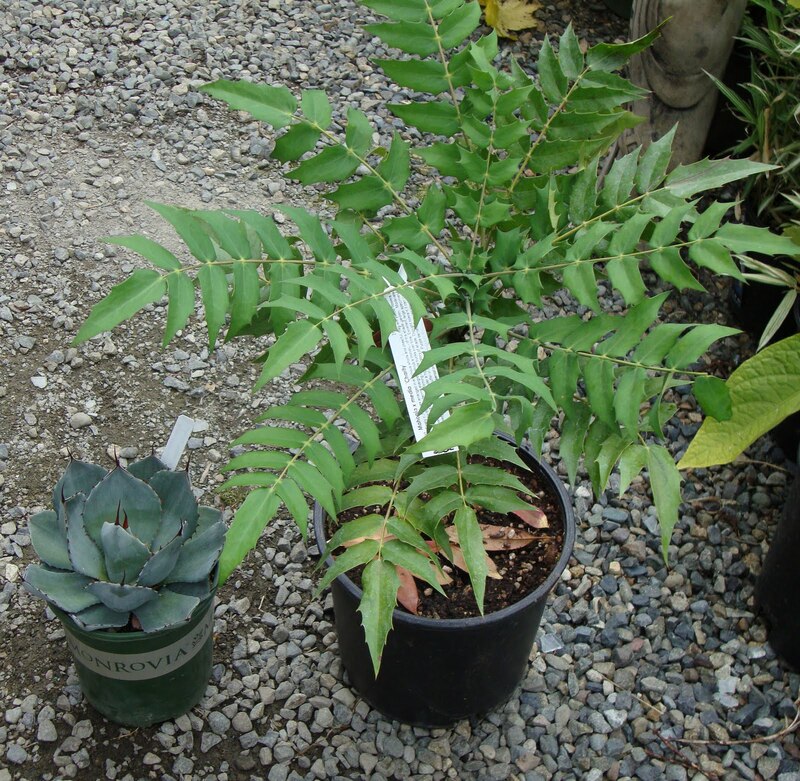 Another very interesting Mahonia flavor I'm considering is 'Soft Caress' - it's leaves have an almost bamboo flavor to them. OMG that one you found in the parking lot took my breath. The edges look black! I want it! Next time I'm across the border I might have to take a visit. Ok, this is David, not my wife. Sorry. Wow! 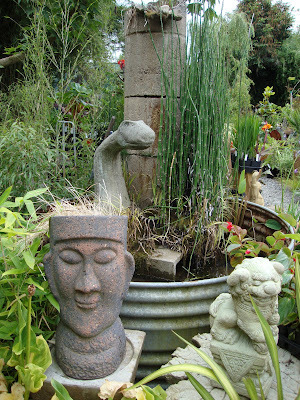 I like your "On the Road" theme for finding and taking photos of cool nurseries. I've been keeping up with each one. 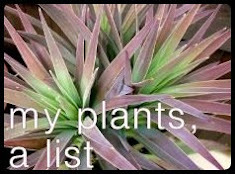 You could write a book called "Guide to Buying Cool Plants" and include a couple of pages on each nursery. I couldn't imagine a more fun job than to report on mom and pop nurseries. Sound good? 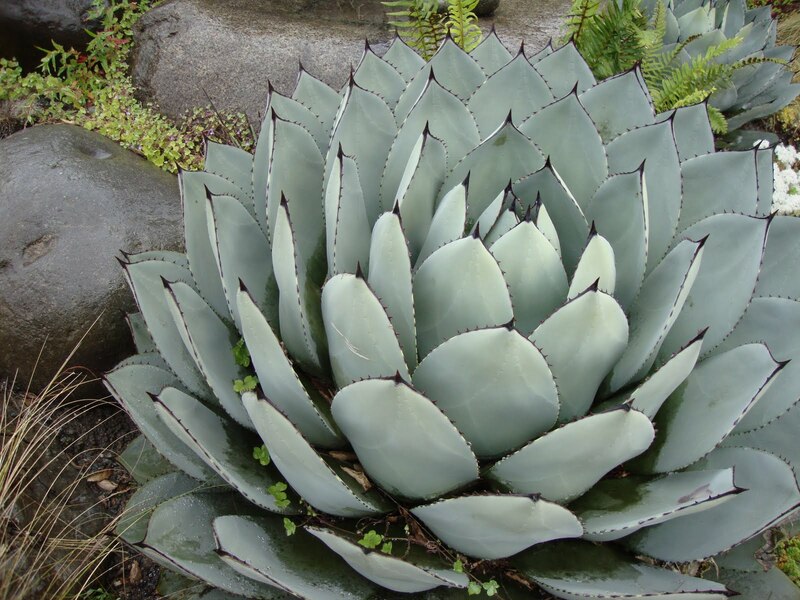 The Agave ovatifolia has not been on sale EVER here in Houston and I'm wondering why???? 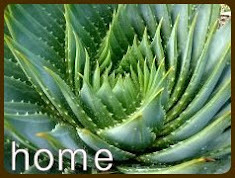 Do you know yet if it is one of those agaves that can stand high humidity and some rain? Have you taken one through a Portland winter? 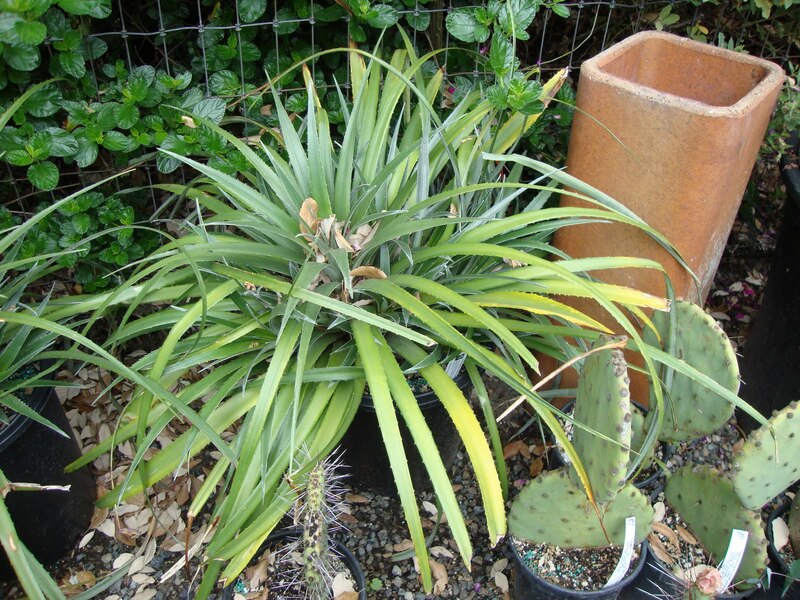 Or is it one of the 'dry' agaves that must stay dry all winter? I'm in humid Houston so I can grow some and others can't stand the place. 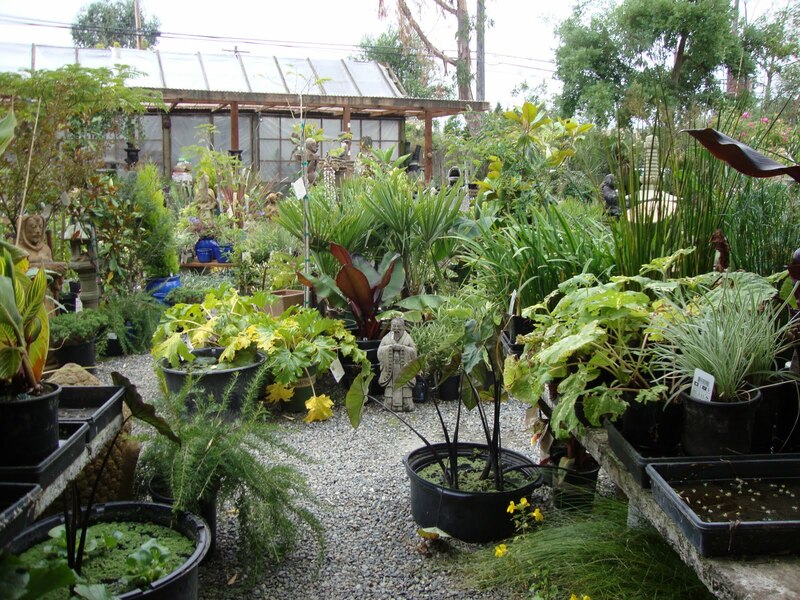 Really, I think the owner of the nursery should have given you the plants considering the great press he's receiving thanks to you. I'm looking forward to tomorrow's post. Oh yes, 'Charity' is supposed to have really fragrant flowers in winter. You probably already know this but it is one of the things that has drawn me to it. That pitacairnea is awesome! I wish I could find those around here, or maybe just some of those relic like concrete Buddha reliefs. Someday I will go to the Pacific Northwest and I'll know what nurseries to search for! What a great find. And I do like their use of concrete, especially that stamped sarcophagus thing under the photo of the display tables. 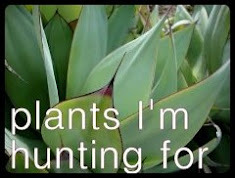 Wouldn't that be amazing to be a plant broker? Loree, you must have been in heaven. 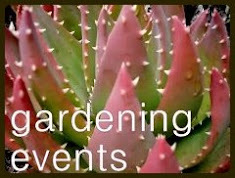 Yes to your new career idea, plant broker! I hope you figure out how to make it happen - you'd be perfect! 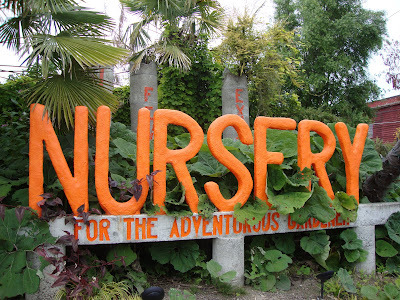 I have heard of this nursery but never been. Tacoma's off the beaten track for me too. Glad you stopped, what a great-looking place. The signage alone would be enough to make me practically crash the car too. I think I will have to find room for a manzanita, after all you have shown, and I am also trying my first grevellia too this year. 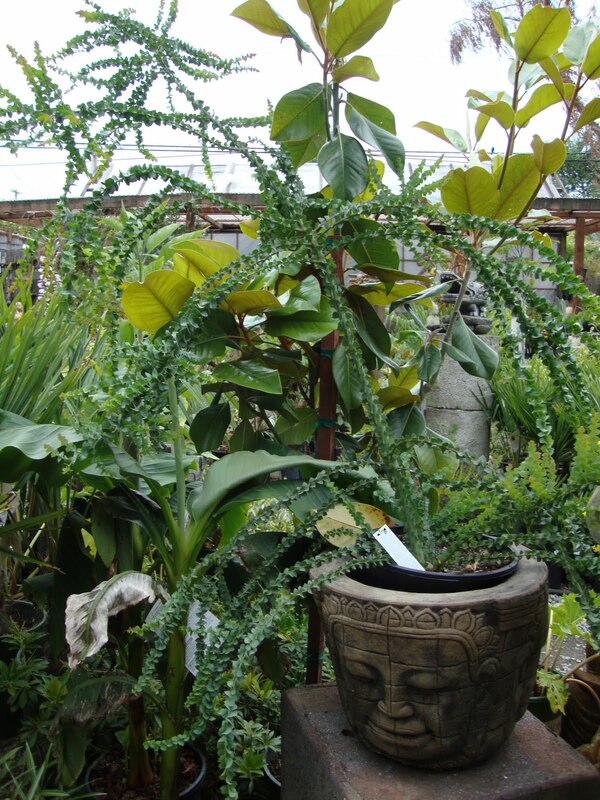 Love your whale's tongue agave and I am a new convert to mahonia too, starting to add them since they berries and flowers are so beneficial to the native critters. I hope your career opportunity pans out for you. I love spending other people's money to buy plants. RBell, ah...I believe this M.'Soft Caress' is one I fell in love with but left behind due to the price. 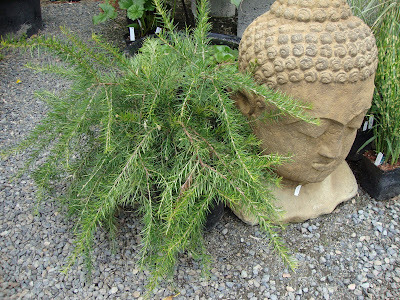 I returned to the same nursery early this spring to discover their foliage crispy and brown. But it was beautiful...the fist time I saw it. 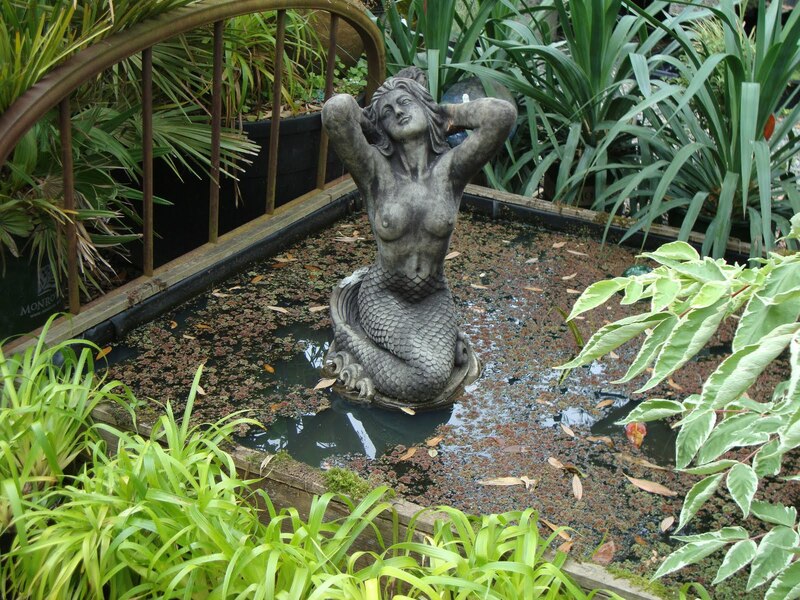 MulchMaid, I have discovered that the winter kills do free up room and allow for spring plant purchases and actually the front garden is still a little barren, so plenty of room. Although someday I can see that this just might be a problem. Laura, agreed they are amazing. Megan, you know I really felt like I had magically transported to Berkeley, rather than Tacoma. It was amazing. Hi David, I like the way you think! Timber Press...are you reading this? What do you say? But seriously....thanks. I am enjoying the whole thing. 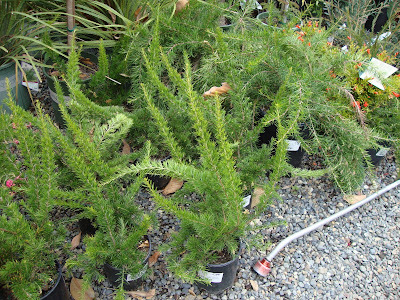 I have not taken an A. ovatifolia through a winter here. Theoretically it should work, but it's the damn rain that kills them. 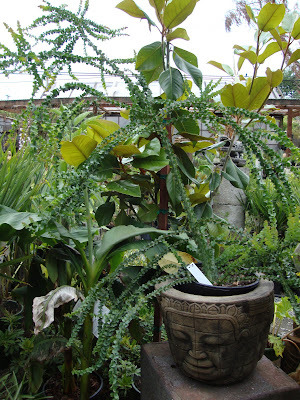 I've put it in a pot so it will live under our shade pavilion (rain coverage) for the winter months. Since it should be cold hardy. Grace, and I like the way you think too! 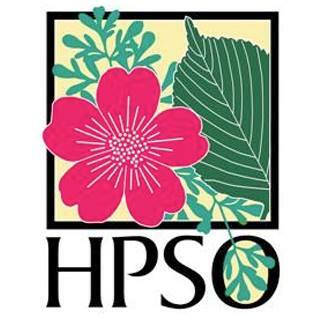 Actually I always thought it was odd that they didn't have a website. After meeting the owner I can understand why. Just not his style. I will be happy if this post helps spread the word and he stays in business. Reward enough! Oh and I had no idea about the fragrance ... that's just a bonus! RFG, you better plan to drive home...so you can fill up your car! Karen, yay! I love that you want to get a manzantia. They are so beautiful. What grevellia do you have? I can't wait to hear how it does....and if you get more. Les, omg....can it get any better than that? 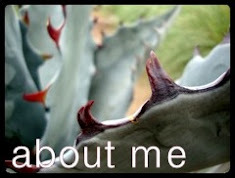 I think I've seen a pretty big whale's tongue agave in the ground over near my mom's house, in a sheltered spot in a rock garden. It must have good drainage but is still exposed to the rain, and it has to have been in the ground for at least a few years. So maybe the odds are good it's a good Portland agave. 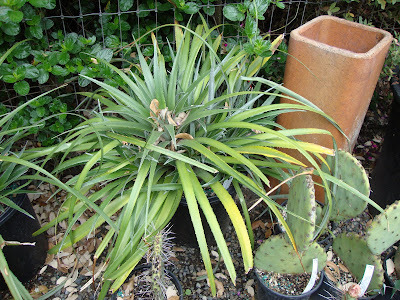 I'll report how the Fascicularia does, but my garden is an extreme test - too much shade, not enough drainage. If it can make it here it can make it anywhere, but if it doesn't make it here, it still might do better under your care. S'pose that Whale will become a whopper like the one in Pam's garden over at Digging?